We hope our new column heading options will work well for you and your company's personnel. 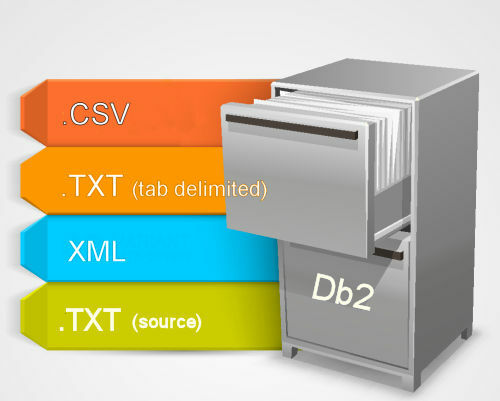 In this release, we have focused on compatibility with Db2 for i meta-data usage standards being used in businesses today, young and old. For example, we have options in place for handling meta-data from DDS and SQL, and also combinations of the two using ALIAS or COLHDG. 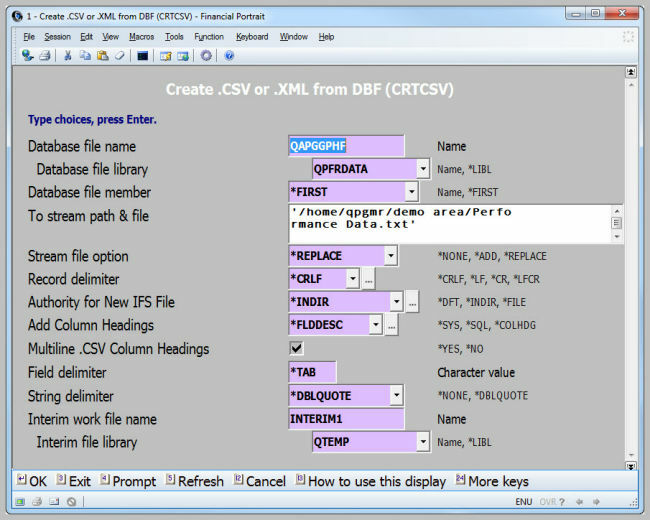 Effectively justify use of ad-hoc spreadsheet functions on DB2 for i data for data owners, with this quick export tool requiring virtually no set up. 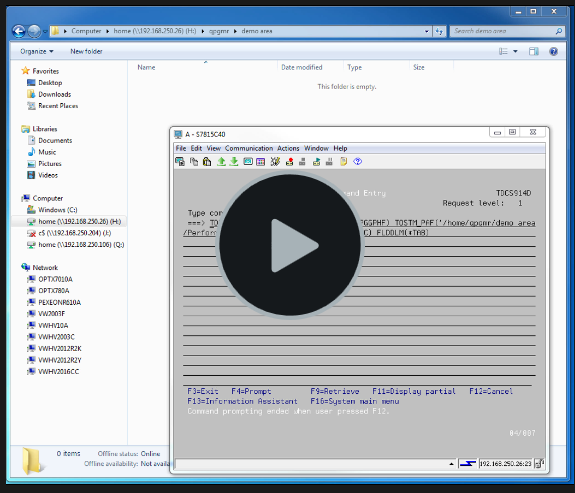 For small to medium sized files, set up simple menu options for authorized users using only CLP. 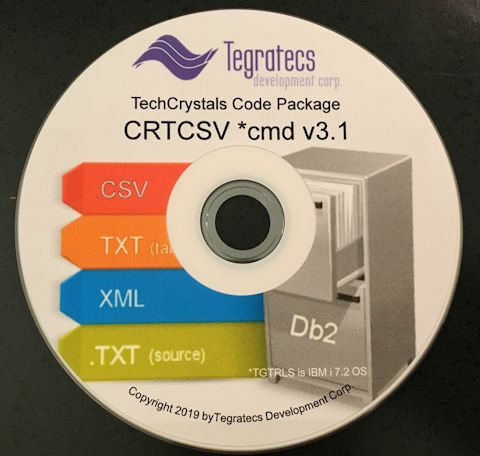 To get started a free trial of Tegratecs CRTCSV *cmd running on your machine (IBM i 7.2 OS or greater) in 30 minutes using RSTLIB from a standard CD in the optical drive, click below on CD image or "Prompt" link (you will be prompted prior to download). Get serial number based 7 day license code from here (web page). Prompt for a Zip File Download containing a single SAVF image of TDCRTCSV *lib v3.1! 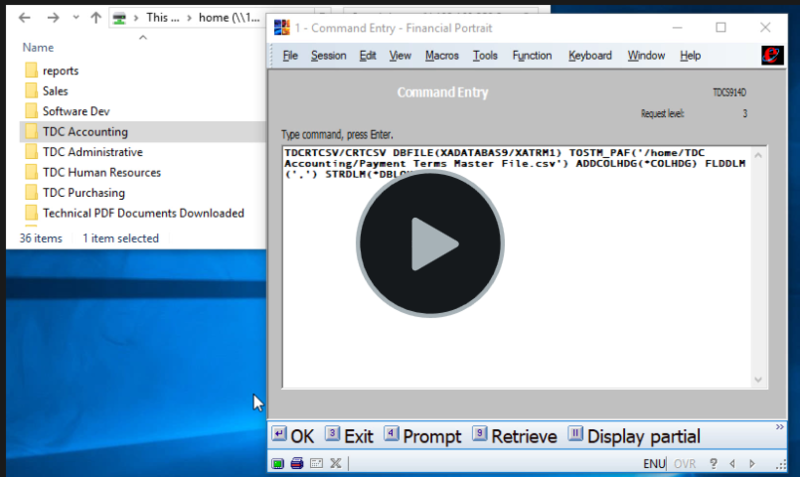 (5) To run, enter "TDCRTCSV/CRTCSV" at the command line and and press F4 to prompt. To open the tab-delimited .txt file created in this example ("Performance Data.txt") using Excel from your desktop, simply right click and select Open with Excel. In this example, the headings rows will be based on the field/column descriptions (TEXT attribute) as opposed to the SQL, field or Alias names. For example, to open the comma-delimited .csv file created in this example ("Payment Terms Master File.csv") using Excel from your desktop, double-click on the .csv file (within a mapped drive on your IFS). In this example, you can see the use of the column headings meta-data, which are stacked in to 1, 2 or 3 lines based on the source meta-data for each field/column. TDCRTCSV     *LIB       PROD         QPGMR                 88   YES        CRTCSV *cmd Copyright Tegratecs Development Corp.
CRTCSV       *CMD                    QPGMR                  8   YES        CRTCSV *CMD © 2019 Tegratecs Development Corp.